This project is a complete interior renovation of a former big box retail store that brings together previously separated departments and promotes an integrated agency culture. 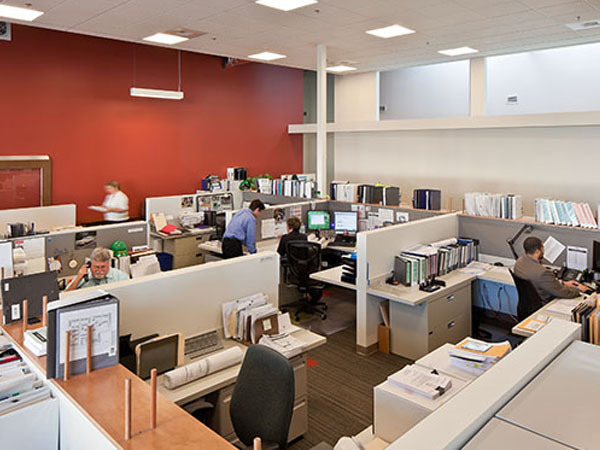 The 36,000 sf remodeled space contains all the major functions of a typical modern office. The project goals were to create an affordable energy efficient “Net Zero Ready” design. Energy efficiency features include new double low-e insulated glazing systems, high efficiency crossflow Energy Recovery Ventilation(ERV), Variable Refrigerant Flow (VRF) 50-zone heat pump system, dimming lighting controls for corridors and perimeter daylit lighting zones, low LPD lights (0.7W/sf, 25% less than current code), and occupancy controls on all lights in rooms with doors. 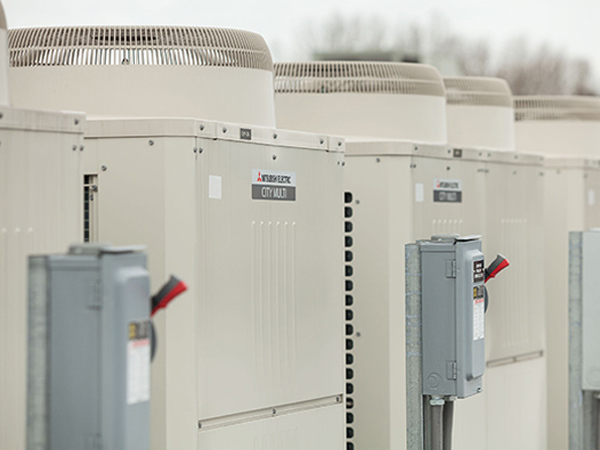 The HVAC system is setup so that each room and office space has its own temperature control and override. This office uses 70% less energy than the National average. 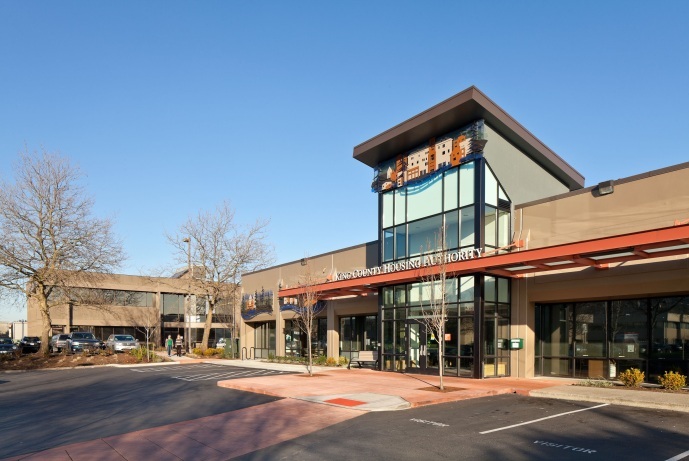 Ecotope provided energy consulting and mechanical and plumbing design services. The design team delivered this project for a total cost of $95/sf using readily available off- the-shelf technology.